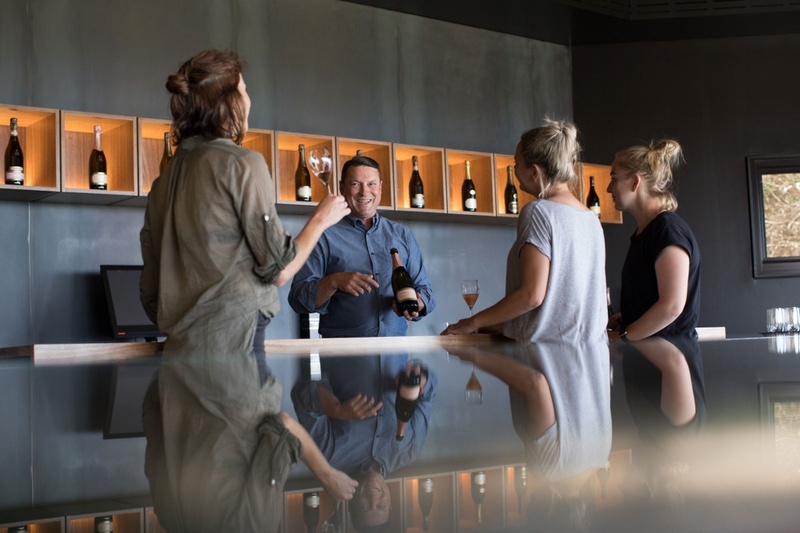 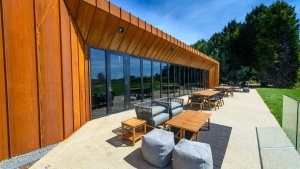 The Tamar Valley Wine Route gains a new cellar door, as sparkling specialist Clover Hill opens its architecturally distinct tasting rooms. 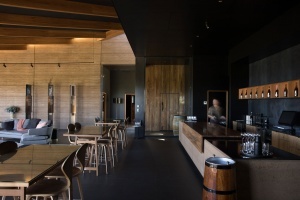 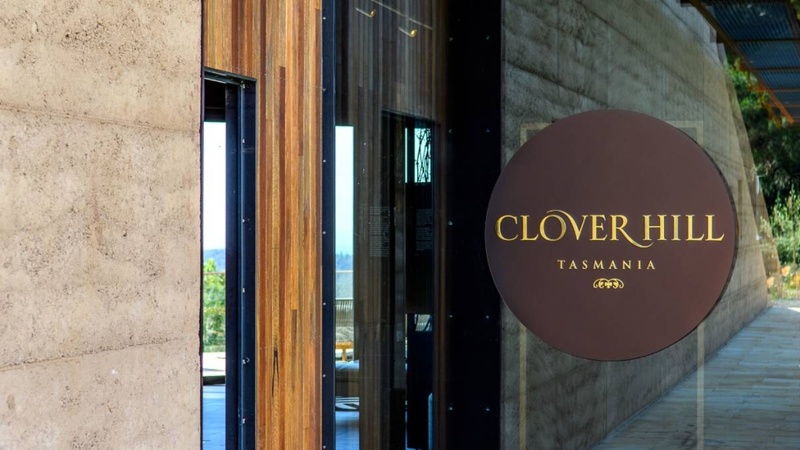 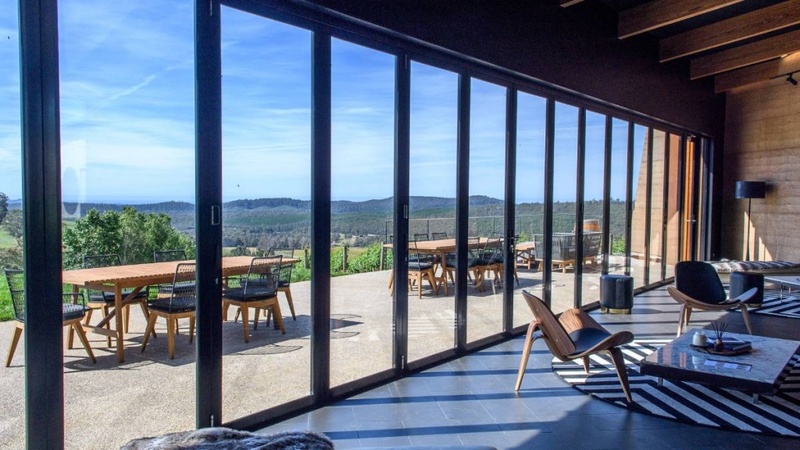 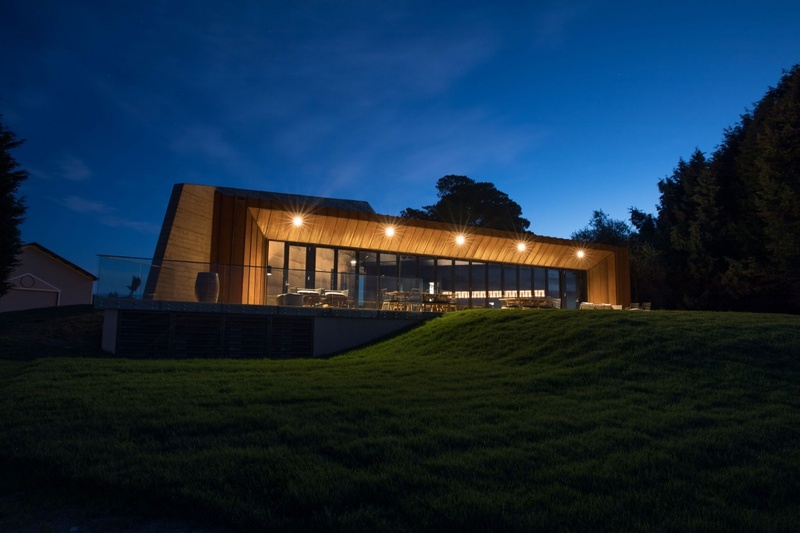 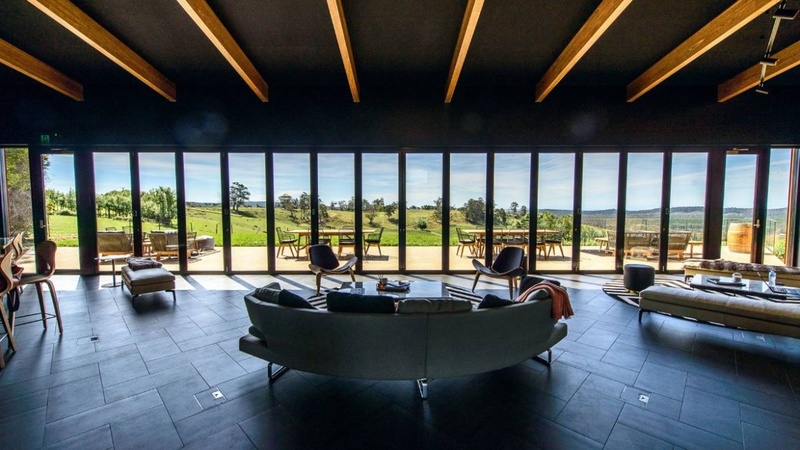 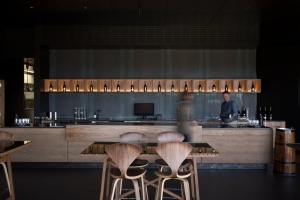 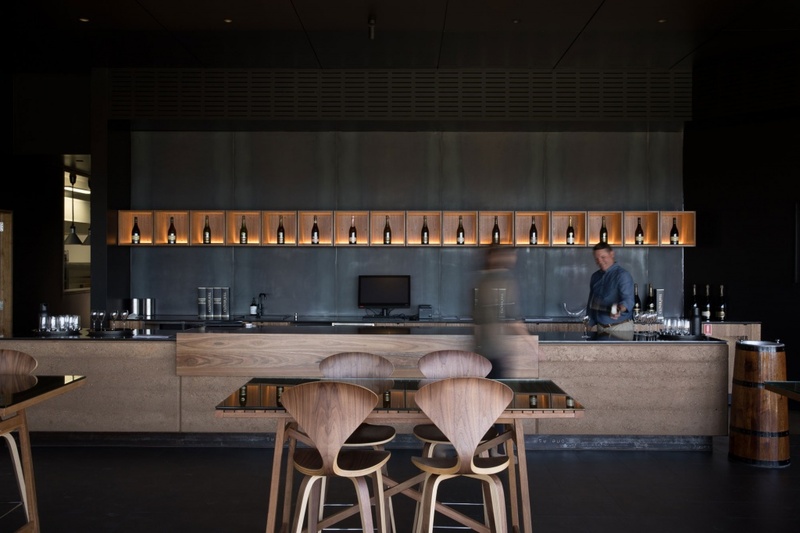 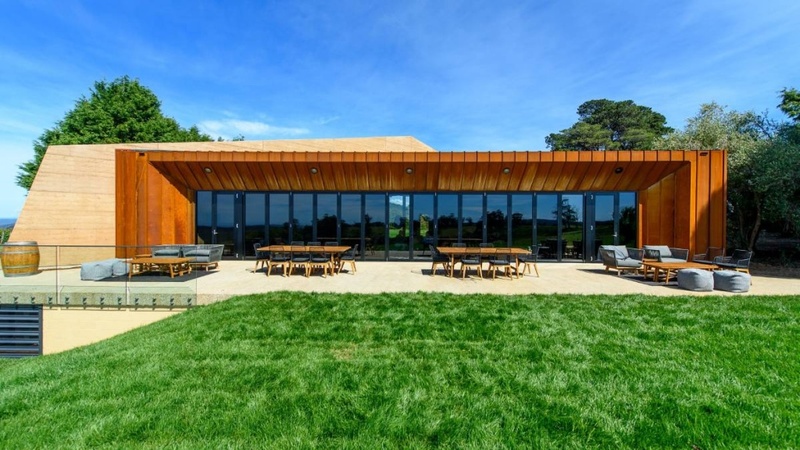 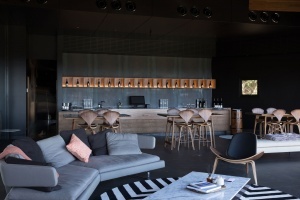 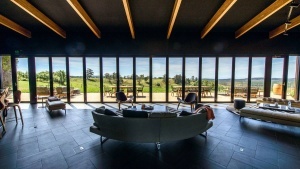 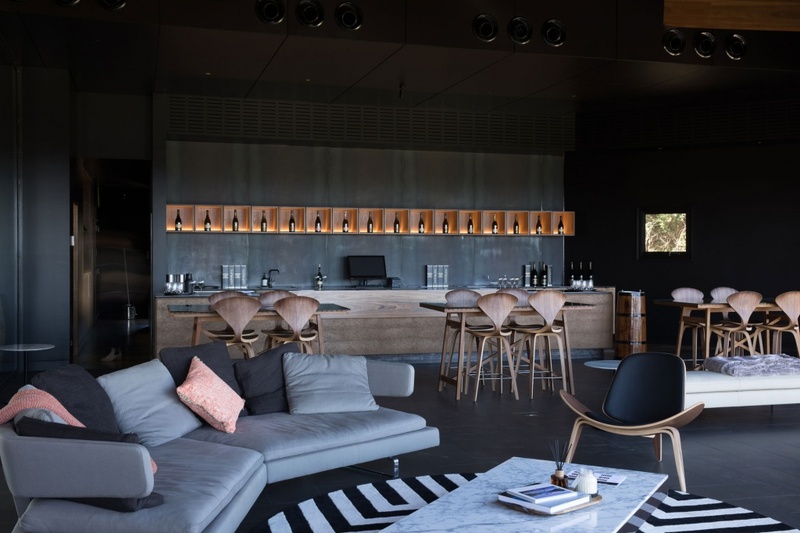 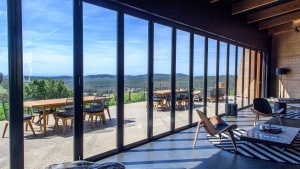 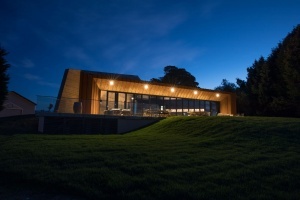 While it seems logical for wineries to take their cue from the aspect and geometry of a vineyard when designing a cellar door building to receive visitors, Tasmania’s Clover Hill has taken this ambition to continue the story of the vines to its zenith. 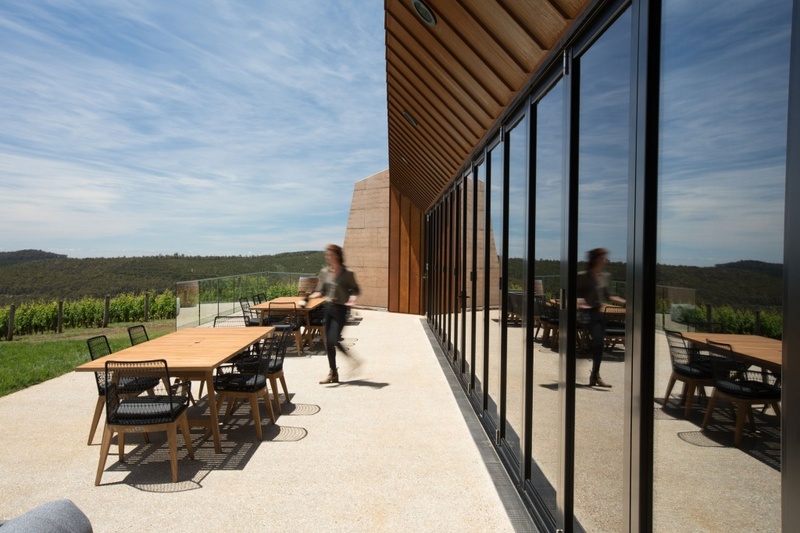 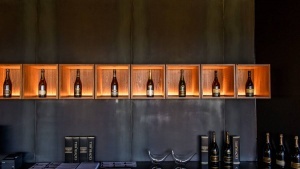 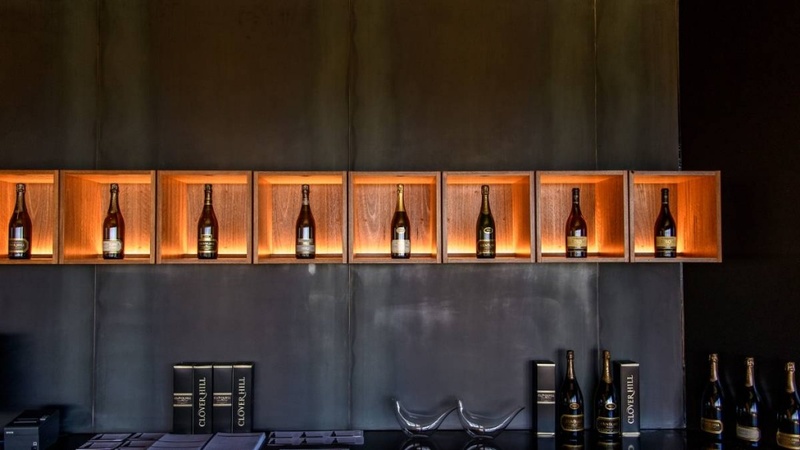 The walls of the cellar door building, for example, are themselves drawn from the volcanic red soil of the Pipers River vineyard that produces the brand’s celebrated chardonnay, pinot noir and pinot meunier sparkling wines. 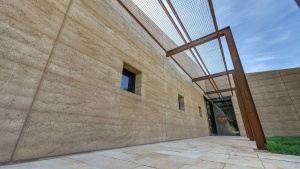 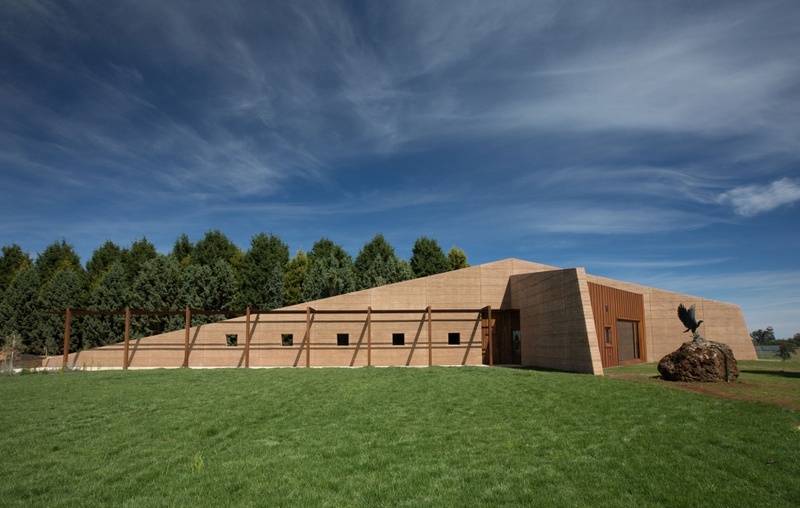 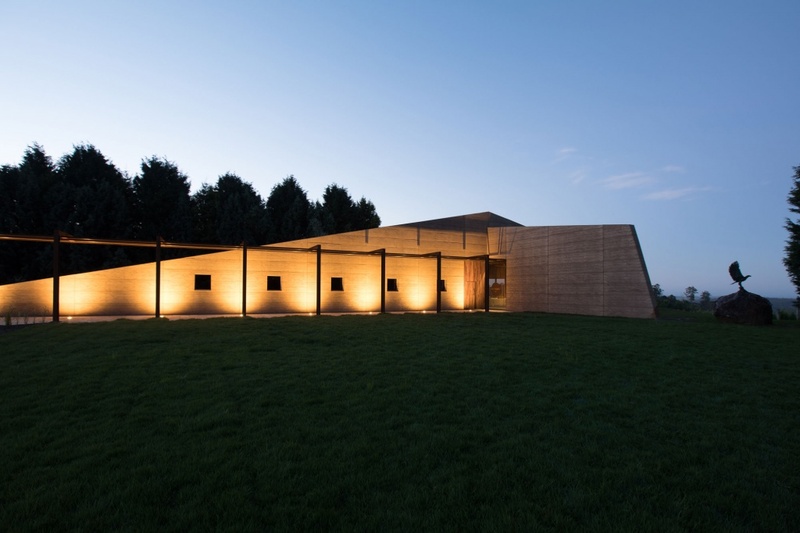 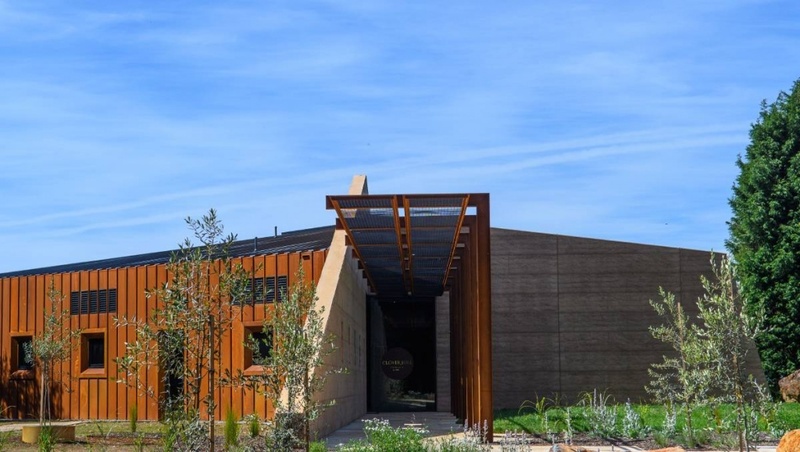 This rammed earth construction, perhaps most famously associated with Spain’s Alhambra, puts visitors inside the very soil and climate they can taste in their wine. 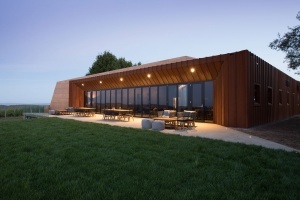 If the excitement surrounding the Rubik’s Cube-inspired d’Arenberg function centre or shipping-container viewing tower at Devil’s Corner is anything to go by, Clover Hill will be welcoming a wave of design-sensitive wine lovers keen to discover how the singular setting and ambience influences a tasting experience. 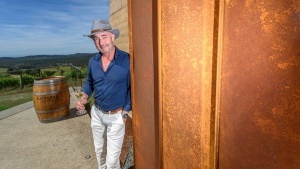 Adam continues: “The neomodern building sits at the top of our sloping vineyard so your eye is led down into the vines – which we encourage visitors to take a wander through – and on a clear day you can see the white caps of the Bass Strait.” A glass concertina door opens out onto a 25-metre deck facing that tumultuous stretch of sea which provides the cooling influence needed to grow top-tier sparkling, and there is surely no better spot in which to appreciate the wine Tyson Stelzer named his Blanc de Blancs of 2018: the 2005 Cuvée Prestige Late Disgorged Blanc de Blancs. Inside the unique structure, visitors will find a relaxing lounge area containing plush ottomans, a tasting bar and a VIP room for Club Prestige members wanting a peaceful moment with the a bottle from the museum collection that dates back to 1991. 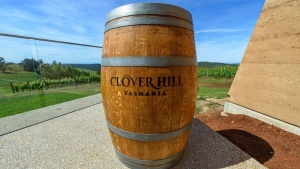 To celebrate the pre-Christmas opening, Clover Hill is launching a cellar door exclusive range of six still wines under the Idiom label. These wines will be integrated into new tours and experience packages at Clover Hill, such as an Elite Experience aimed at small groups wishing to immerse themselves in Tasmanian sparkling production and learn about cellaring best practice. 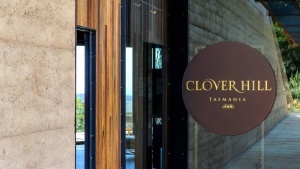 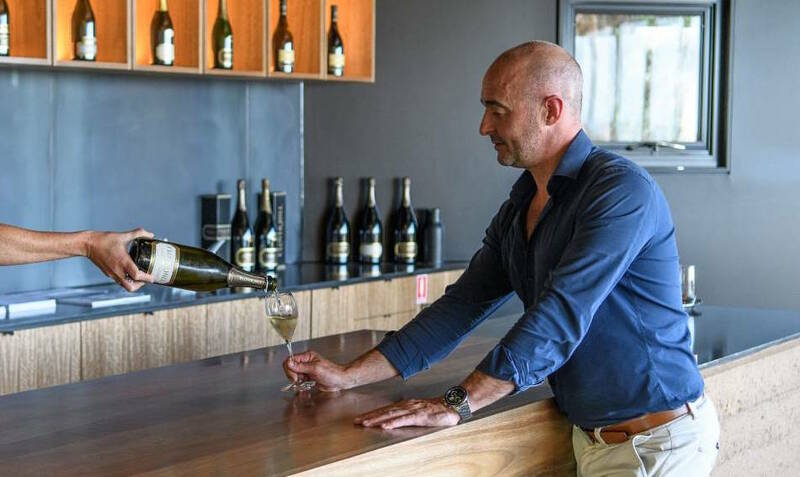 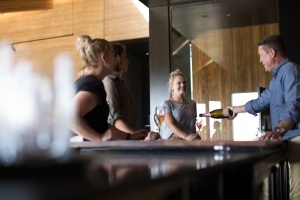 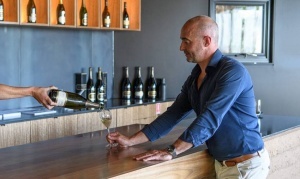 To fully acquaint yourself with the best of Tasmanian sparkling Adam recommends combining a visit to the new-look Clover Hill with tastings at the likes of Janz, House of Arras, Pipers Brook Vineyard and Josef Chromy, not forgetting dinner at iconic Launceston restaurant Stillwater. 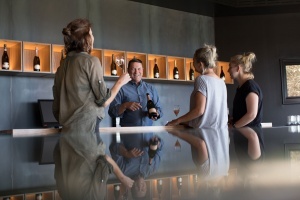 “The Tamar Valley Wine Route is fast becoming the Champagne Trail of the southern hemisphere and our lack of cellar door was the missing link, so we could not be prouder to open this month,” he adds.